"A woman travelling alone makes nothing but trouble." 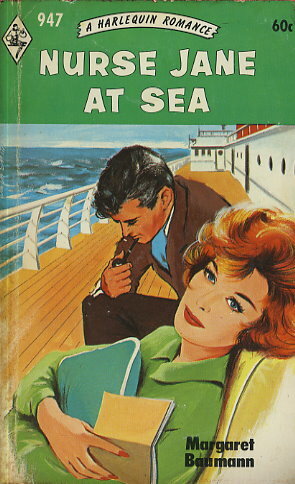 Captain Neil Macklin's firm opinion was reinforced when Miss Audrey Bracewell, from the Fairmead Nursing Home, was late to join his ship for a convalescent cruise. But what Captain Neil did not know was that, when his overdue passenger arrived, it was not Audrey at all but a night nurse from the Fairmead -- Jane Lester. Captain Neil was not pleased when he found out, but was it not possible for Jane -- with no doctor aboard and she the only nurse -- to prove to Neil, if an emergency developed, that she could mean the reverse of "trouble"?